It’s easy to want to abandon your book or short story just as it’s getting hard. Like when your momentum suddenly stalls, characters get quiet, or that pestering voice in your head tells you that your writing is one notch below drivel. This is terrible, you should quit now. Yes, I do. Now be quiet, please. Remember what that last reviewer said? We all hear that voice whether we’re a novice or seasoned writer. 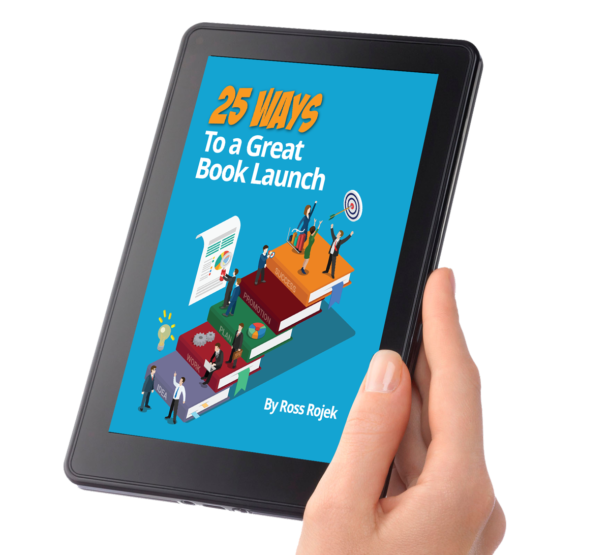 An author with a successful twenty-year multi-book career once confessed to me that when she writes, she always worries that people are going to figure out that she’s really a fraud. What?? Feeling insecure about your writing goes along with living the creative life. You put your work out there for all to see, to judge, to rank—and it’s never comfortable. It’s something I struggle with and it used to paralyze me creatively. Okay, it still does at times. Here’s what I’ve learned. Don’t show up to write, show up to play. Telling yourself that you’re just playing removes much of the stress and quiets that pesky inner critic. It’s also a way to not take those early first drafts too seriously as evidence of what you can do as a writer or what your final piece will look like. Instead, treat them like playgrounds of exploration. When we play, we open the doors to spontaneity. Hmm, I wonder what would happen if . . . Still stuck? Here are some tricks that help me! Often a story’s momentum stalls because the storyline and/or characters are not yet fully formed. Perhaps more research is required. Not a problem, see it as another opportunity to play more. Additional research means a chance to feed our curiosity and learn new things. Plus you’ll never know what new treasures you’ll stumble upon when you delve deeper. The story’s just not working and it feels like you’re churning out lines through a meat grinder. Then it’s time to step away from your keyboard and change your medium. Switching from the click-click of computer keys to the soft scratchy sound of a pencil or your favorite colored marker on paper can do wonders to help you flush out scenes and reshape characters. This creative detour also holds no rules. Scribble down ideas. Draw some scenes. Just keep playing. Another surefire story resuscitator is to take a break and open a book. Reading is like a spa for the brain. It loosens up those clouded thoughts and impenetrable blank spaces as it relaxes you into someone else’s world. Ahh, now that feels better. Sometimes when our gears get stuck, reading is all the lube we need. All this is swell, but what if it’s just getting too hard? Stories do that to us. Our characters demand a lot and as authors we need to muster the patience and diligence to see them through. Why? Because your words are important and ultimately your characters need you. Who else will give them their voice, tell their tragic/heroic/heartfelt tale, and perhaps touch readers halfway around the world? Only you. In my novel, I Like You Like This, I was compelled to see the character of Hannah through her journey. She’s a high school misfit with no friends and a tortured family life. While her character broke my heart and frustrated me on most days, I needed to help her navigate her less than spectacular world and ultimately get her closer to finding her truth. What kept me motivated was knowing that there are plenty of Hannahs out there, teens who are alienated, bullied, and mistreated—all who need to be heard. You may be writing fiction, but often times it becomes far more. Maybe your pages will bring laughter into someone’s hopeless world. Perhaps they’ll invite readers into an exciting unexplored realm of possibility and magic. How great is that! Neither one can happen without you. When you feel like abandoning your work out of frustration and self-doubt, and you’re one step away from burying your manuscript in that bottom desk drawer, remember for a moment that your words are important. They are yours and yours alone. Your life experiences inform all of your stories and no two can ever be alike. You hear people tell you that your voice is your fingerprint. Well it’s true. Your words matter. Just keep playing. 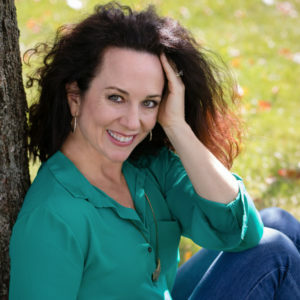 HEATHER CUMISKEY is a freelance writer and editor. She studied English at State University of New York at Albany. 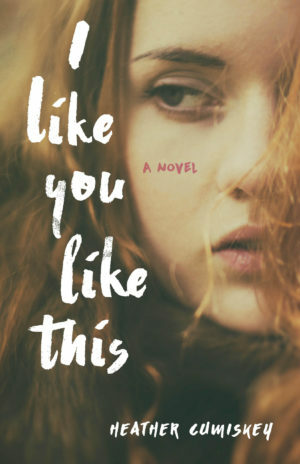 I Like You Like This is her debut novel and a bronze medal recipient of the 2017 Moonbeam Children’s Book Awards. She resides in Maryland with her husband and three sons. Connect with her at http://heathercumiskey.com/.